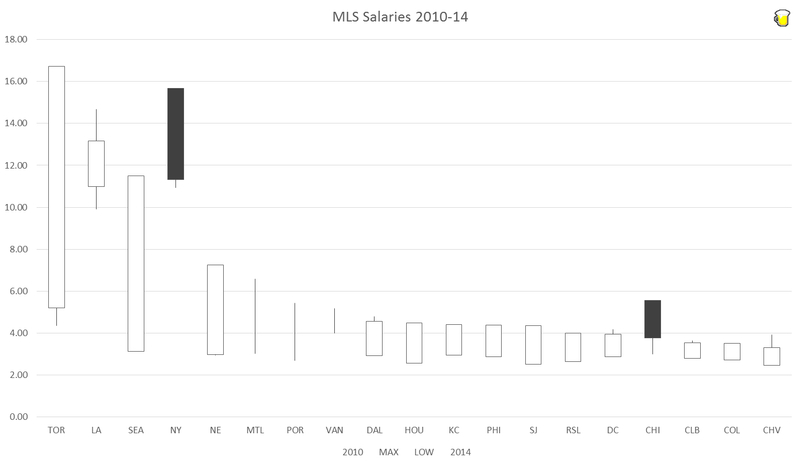 Still messing around with team wages between the years 2010-14 that spin off the research I did for my post over at Massive Report. So, here is a few more charts and graphs to share. Top one is my favorite (box and whisker). I have it sorted by YE 2014 salaries. You should be able to interact with the next couple a little. Not a whole lot here to sink your teeth into, but does well at painting a quick and informative picture of what's going on in regards to salaries.